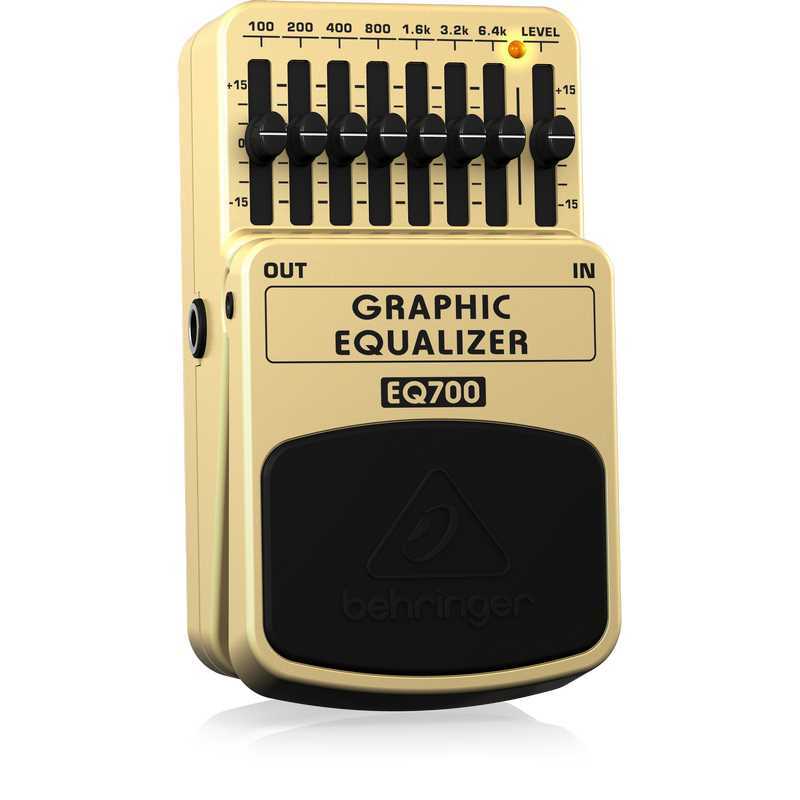 With 15 dB of available boost or cut per band, the EQ700’s seven frequency bands were carefully optimized to provide the ultimate tools for EQ’ing your guitar. Of course, to make full use of the EQ700’s capabilities, it helps to first understand some basics about the frequency range of your axe. The EQ700 covers the audio spectrum from below 100 Hz to over 6.4 kHz, allowing you to effectively cut or boost a slew of frequencies to help bring focus to your sound. Special attention has been paid to the critical midrange frequencies, which can easily make or break your tone. The following section offers tips that will have you sculpting the perfect guitar sound in no time at all. Most acoustic and electric guitar energy lies between 100 Hz and 6.4 kHz. Even slight changes in this range can cause a tremendous variation in overall energy and impact, as the human ear is especially sensitive to this range. Boosting frequencies around 200 Hz - 400 Hz often provides warmth and body, while boosting frequencies in the 3.2 kHz - 6.4 kHz range adds clarity to clean guitar signals. Depending on the amount of distortion, this same range can ruin the sound of an overdriven electric guitar by adding harsh harmonics. One of the most common mistakes is adding too much bass to acoustic guitars. If the low frequencies are boosted excessively, acoustics can easily get lost in the overall mix. Most acoustic guitars are also prone to feedback in the 200 Hz - 400 Hz range. A general rule of thumb – the best results are often achieved by finding and reducing the frequency bands that are offending, and then turning up the overall volume, rather than boosting one specific band. 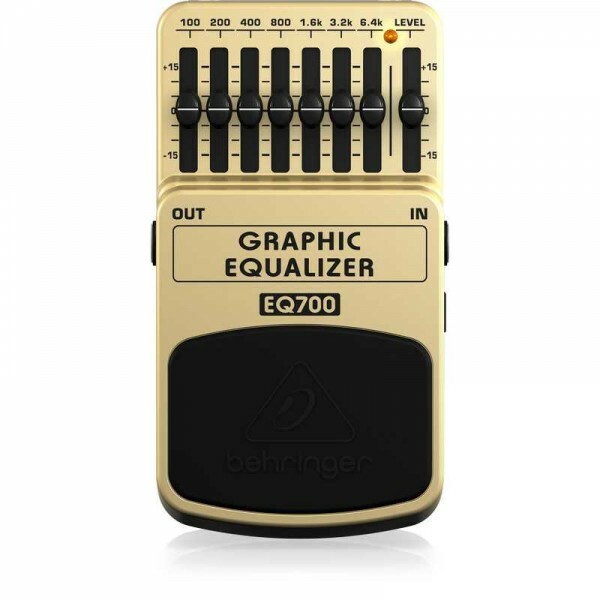 The EQ700 offers more features than anything in its class – and it's kind to your wallet! 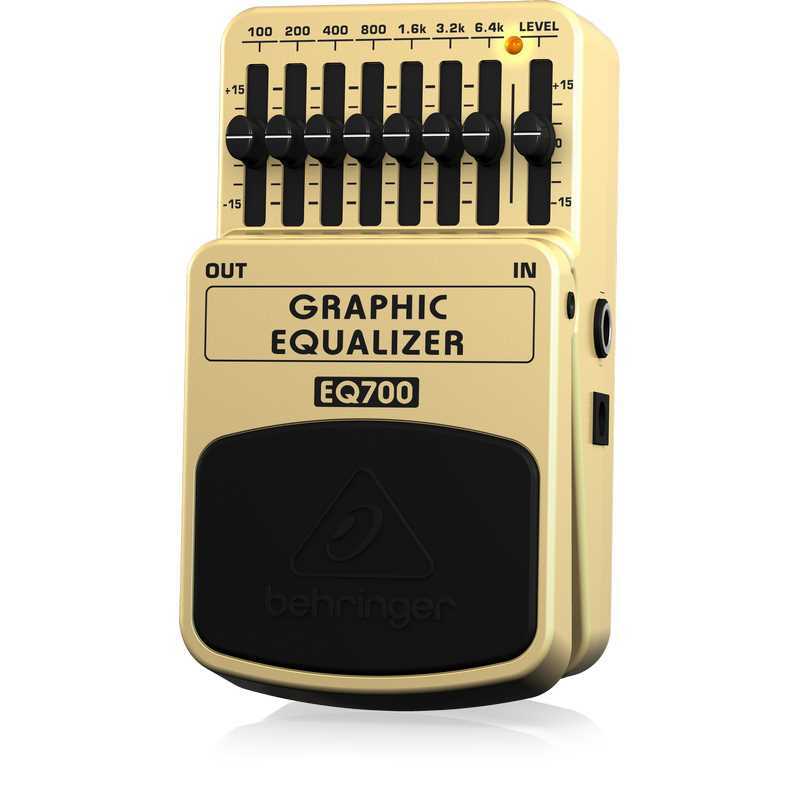 From its easy– to-use controls, to its noise-free On/Off switch – the EQ700 will keep you solidly in the zone. Try one out at your local dealer, and see just how good you and your guitar can sound. Konig & Meyer 11870 Orchestra Music StandPowder coated aluminum music stand with a steel plate. Connecting parts made out of durable plastic. The music desk can be removed and attached easily with its user friendly and practical quick release mechanism. A large wing-nut makes it easy to adjust t..